Late 2006 release and a total surprise arrival from a fave band from this decade that all too few people are aware of. With soaring three-part harmonies backing the sweet raspiness of Minibar frontman Simon Petty`s vocals and emotional lyrics, the California sound is eloquently mixed with classic British pop-rock influences. Think Del-Amitri, The Byrds `n Tom Petty, The Jayhawks and Peter Bruntnell. Harmony-rich laid-back California pop with a bit of Americana laid back groove in the mix. The rolling roots groove that drives this English band is as mesmerizing as the waving visual effect you see on a hot highway. The highway these cow-blokes have taken, though, has led them to California, and there they reside. As does their sound, which is a sensual and sorrowful blend of So-Cal country rock, filled with soaring harmonies and lap-steel, and English pop. Full of glassily plucked acoustic guitars crisp with rural, sun-baked charm and angelic chorale harmonies that C,S & N themselves would be hard-pressed to match, it is as much Hollywood Hills as it is Scotland Highlands. AMG said this about their last one, Fly Below The Radar and it applies here: ""Much was made of the group`s faux Americana feel in its initial press coverage, but although this does have definite folk-rock, country, and West Coast harmony influences, it`s not as simple as a British band trying to play American. They play tuneful rock that has pop appeal without selling out, Simon Petty`s breathy, slightly scratchy vocals projecting an inviting world-weary, reflective warmth. Echoes of bands like R.E.M. and, reaching further back, the Byrds and late-`60s/early-`70s British pop can be heard in addition to the more contemporary alt-folk-rock factors.". 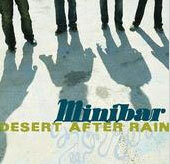 Minibar is a musical force whose selfless approach towards musical nirvana is un-compromised. Extremely Highly Recommended!